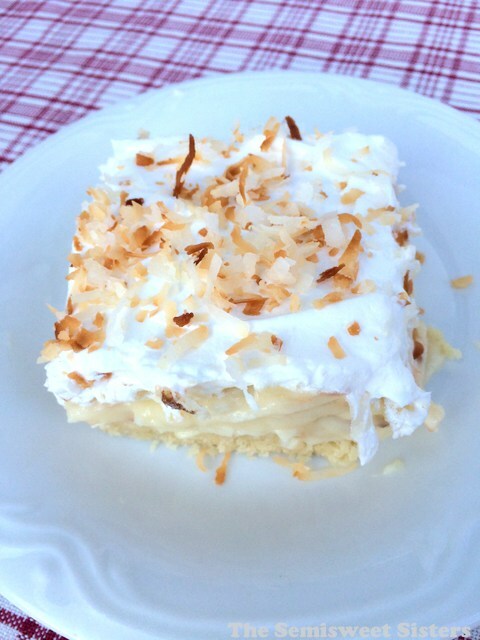 Coconut Cream Pie Bars with a Short Bread Bottom. So I’m not the biggest pie crust fan, especially when it comes to making it. 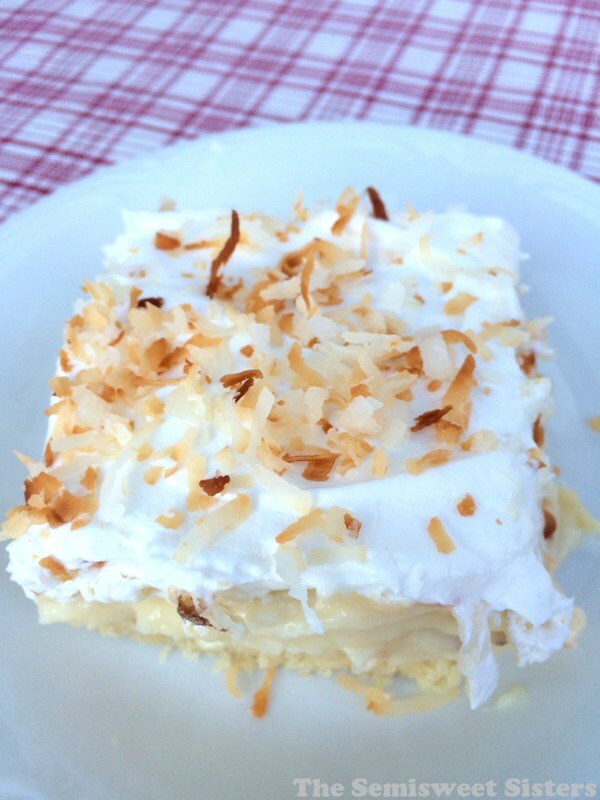 I took my “go to” coconut cream pie recipe and added a short bread bottom to make these coconut cream pie bars. Even after 2 days the shortbread bottom didn’t get soggy (like I though it would), so you could easily make this the night before. By the way this recipe is actually pretty easy, so don’t be scared if you haven’t made anything like this before. I stirred the coconut about half way through and at the end to get all of it nice and toasted. 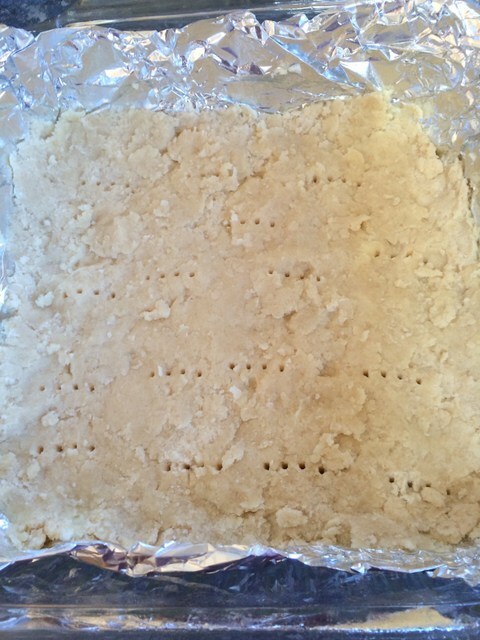 The shortbread dough will look crumbly, just press it onto the pan and it will be fine. You could line your pan in foil, but I found it was not necessary. When your making the pie filling, keep whisking constantly until it starts to get thick like a pudding, and just when you start to see a few big bubbles, remove from heat and add in the 1 cup of coconut. 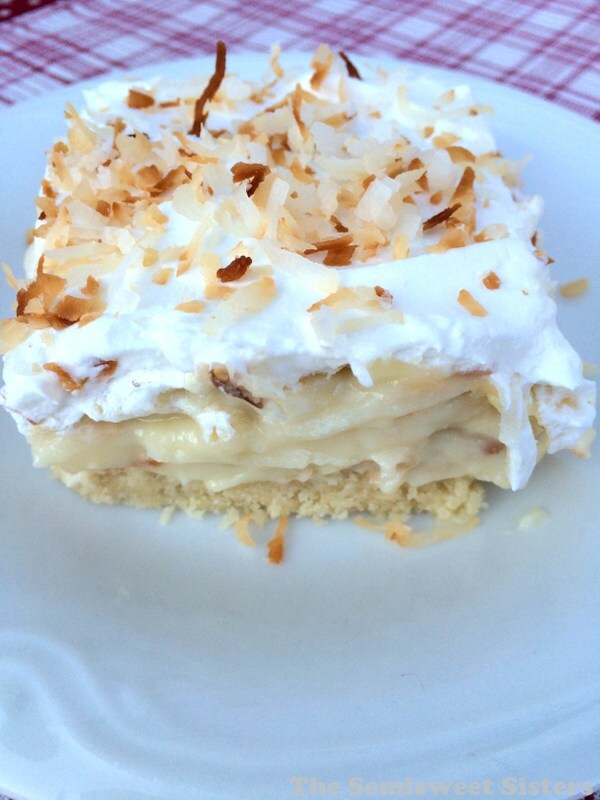 Let chill, add cool whip and top with remaining coconut. Preheat oven to 350 degrees. 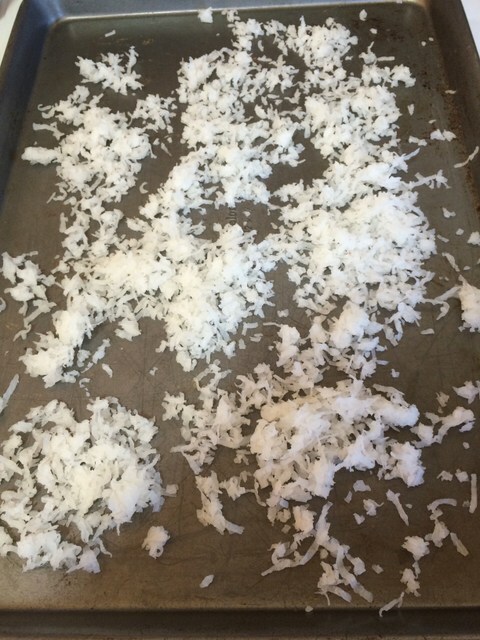 Spread coconut on baking sheet and toast for 5-6 mins, stirring half way. 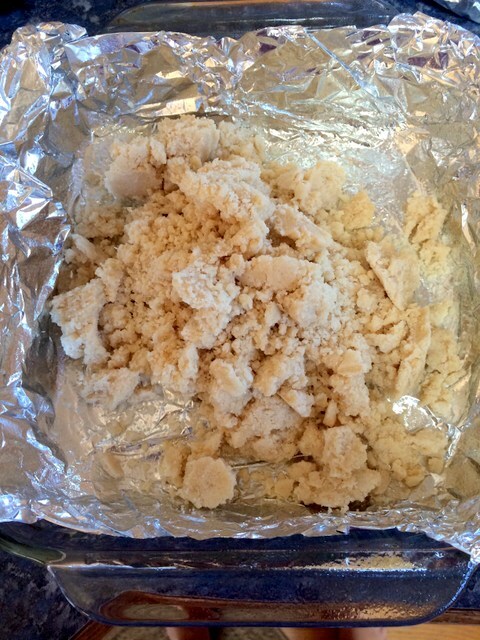 For shortbread: Turn oven down to 325 degrees and mix butter, vanilla, sugar and flour in medium bowl. 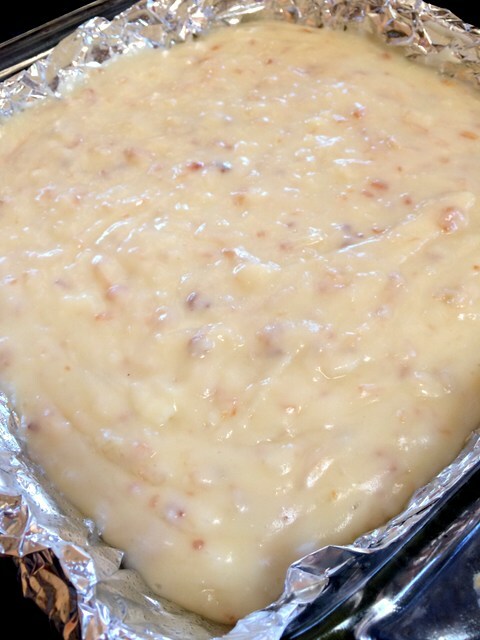 Press into 8x8 pan, poke with fork and bake for 20-22 mins. For filling: In medium saucepan whisk, half half, eggs, sugar, and salt together over medium-low heat whisking constantly until it gets thick and just starts to boil. 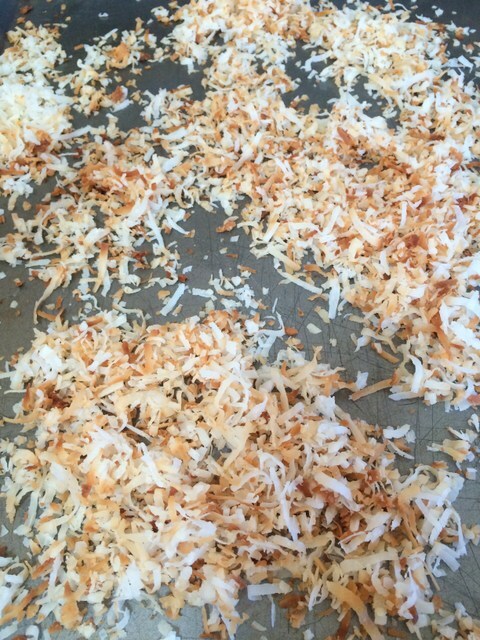 Remove from heat and stir in 1 cup of toasted coconut flakes. Pour mixture over shortbread, chill for 4 hours. 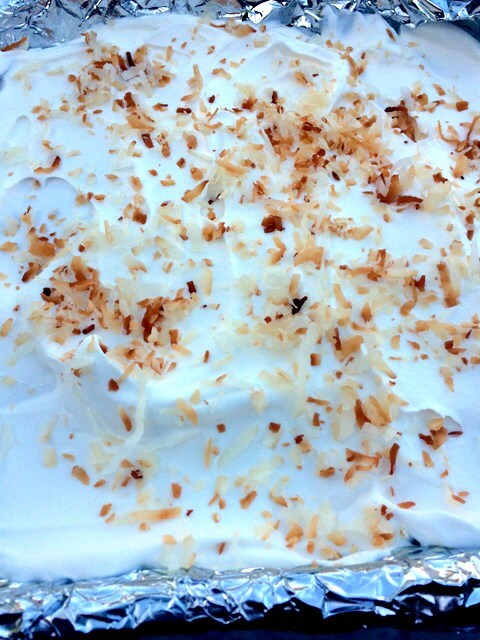 Add cool whip and the ¼ cup of toasted coconut.